Galaxy refrigerators are manufactured by Kenmore. The Kenmore brand is owned by Sears Holdings, and the appliances are sold exclusively in Sears department stores. Some models of Galaxy refrigerators are equipped with an icemaker. If the icemaker does not function normally, troubleshoot it to determine if minor adjustments can be made or if the unit requires service. Turn on the water supply shutoff valve and remove kinks in the water source line if the icemaker does not produce ice or produces very little ice. Turn the shutoff valve on the water supply line counterclockwise to turn it on fully. Move the wire shutoff arm down into the "On" position or turn the switch to the "On" position to turn on the icemaker. Allow the freezer to cool to the appropriate temperature. Ice production will not begin until it has cooled enough. It will begin to produce ice around 24 hours after it is installed. Remove ice cubes jammed in the ejector arm with a plastic utensil. Discard the first few batches of ice. The water supply line is flushing and may produce ice with a bad taste or odd color. Move the wire shutoff arm down into the "On" position to turn on the icemaker. Turn on the water supply by turning the shutoff valve counterclockwise. Remove kinks in the supply line. Wait 24 hours for ice production to begin. The icemaker will begin full production after 72 hours. Four to 5 lbs. 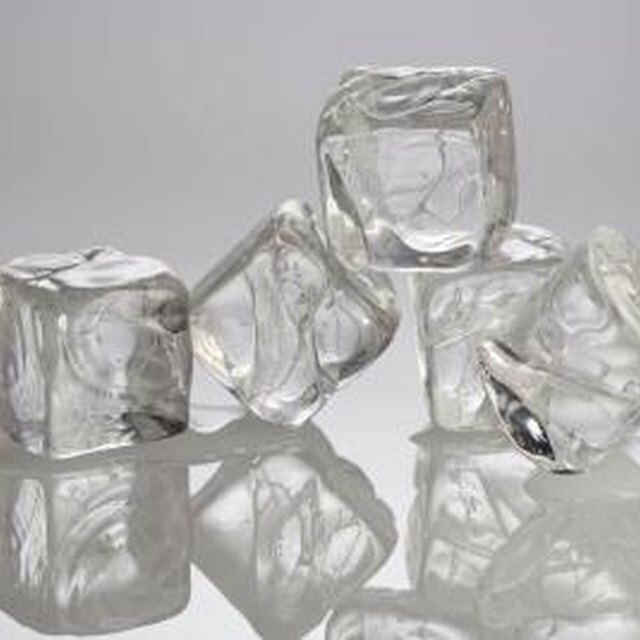 of ice should be produced in a 24-hour period. Discard ice that remains in the bin for an extended period of time. If the ice develops a bad taste or odor, discard the ice in the bin and wash the bin with mild dish detergent and warm water. Dry thoroughly before replacing the bin.